30 years from accident on the CNPP are soon performed. Its effects lie heavily on shoulders of Ukraine. Experts are assured that at the correct policy, the exclusion zone can not only pass to self-sufficiency, but also begin to earn. 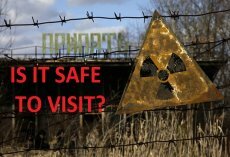 Since the most terrible accident in the history of world power on the Chernobyl nuclear power plant passed 30 years, but its serious consequences are still painful and will remain those within many decades if not centuries. The territories lost for normal life activity, ghost towns, million army of liquidators and immigrants, thousands of the diseased and remaining in a risk zone - it Ukraine pulls heritage of the USSR on the shoulders 25 years. Plus, an exclusion zone and the CNPP which require the problem resolution of unprecedented safety. And it is milliard means. Certainly, the world community is not necessary aside and was not able to do it: accident on the CNPP - a problem global. Are reset by the whole world on "Shelter", storage of spent nuclear fuel, the maintenance of the enterprises of an exclusion zone, withdrawal from the service of the CNPP. For economy of Ukraine which suffered from Chernobyl disaster most this load remains very heavy. But the help began to come only after 2000, after a stop of the CNPP upon the demand of IAEA. As the head of the State agency on management of an exclusion zone Vitaly Petruk noted in interview the UNIAN, for 15 flyings about 2 billion dollars were selected for prevention of effects of accident by the donor countries. Financing of an exclusion zone for Ukraine costs 50 million dollars a year: for 15 flyings, taking into account rate fluctuations, are 700 million dollars. Only in 2016 "Shelter" in ecologically safe system from the state budget will be spent for withdrawal from the service of the Chernobyl NPP and object conversion by 1 billion UAH. The amount - impressive, especially for the country which endures the Russian aggression, occupation of territories. And here the question - and whether it is possible if not to earn then to save on the Chernobyl zone, to transfer it to discharge of self-sustaining is quite logical? It appears, it is possible.